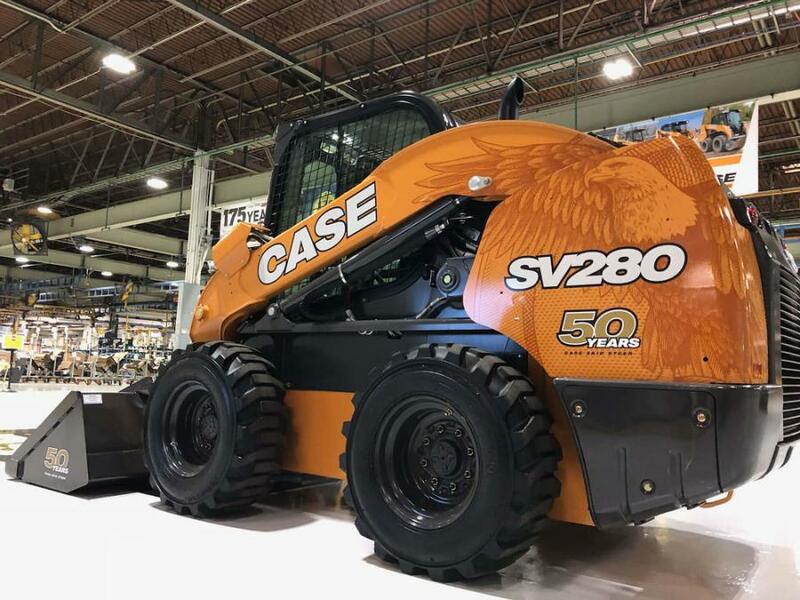 Case Construction Equipment celebrated 50 years of skid steer manufacturing with a ceremony on April 3rd at its Wichita, Kan. plant. Case first built skid steers in 1969 at its Burlington, Iowa, facility, before eventually moving production to Wichita. "Skid steers completely transformed the construction equipment landscape, and Case has played a leading role in the evolution and development of this product category throughout the last 50 years," said Michel Marchand, vice president — North America, Case Construction Equipment. "These machines reflect every bit of our heritage from construction to agriculture, and we are committed to helping our customers build strong communities and businesses with the help of Case skid steers built here in the U.S.A."
Global Case and CNH Industrial leaders Carl Gustaf Göransson (president of construction, CNH Industrial), Larry Bryce (chief operating officer of construction equipment, CNH Industrial) and Marchand were on-hand to mark the milestone, as were local Case employees and members of the manufacturer's dealer advisory board. The event was hosted by Mike Petersen, plant manager, CNH Wichita. Case skid steers and compact track loaders(CTL) are made "For the World" in Wichita — meaning that every Case skid steer or CTL sold and operated anywhere in the world today comes from Wichita. The plant is designated at the "Silver Level" for World Class Manufacturing (WCM), one of the global manufacturing industry's highest standards for the integrated management of manufacturing plants and processes.